This paint set includes 6 - 3/4 oz. 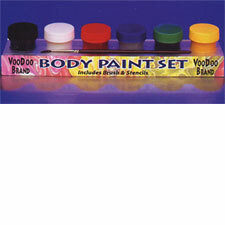 jars of non-toxic body paint, brush and 33 tattoo transfer designs in various sizes. Instructions included.